The follow up story helped to clear up the matter but some journalists still got it wrong. Its funny, so far I have been interviewed by the BBC, Daily Telegraph, Metro TV, amongst others. Oh and a couple of hundred strangers now want to be my friend on facebook. Cancel funny lets say crazy. But still I find it amazing that one photo can bring so much attention to our little corner of the world. However I feel that I have to set some facts straight. I didn’t build this for Sea Rovers guests! 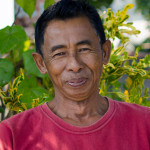 Though I have been in Pemuteran for 14 years now and was involved in the creation of the Reef Gardeners, I can’t lay claim to be the person with the dream. I was part of the team who made the dream a reality. At the time I was working with Chris Brown along the beach from us. The original concept was his. Over the years, every now and again, we’d talked about the idea of an Underwater Temple Garden, but never had the funds to put it together. And what with the revolution, crisis, birth of true democracy in Indonesia, Bali Bombs and the ensuing loss of tourism we had other things matters to take care of. 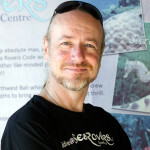 Then a friend of Chris’s suggested approaching the Bali Rehabilitation Fund (Aus Aid) with the idea of a social and enviromental project that would become the ‘Reef Gardeners’. 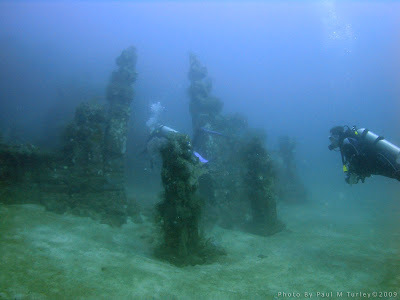 For more information on the Reef Gardeners project and the creation of the Temple Garden and also the Biowreck, kuberan Kapal (Ships Graveyard), plus Coral Canyon wreck. 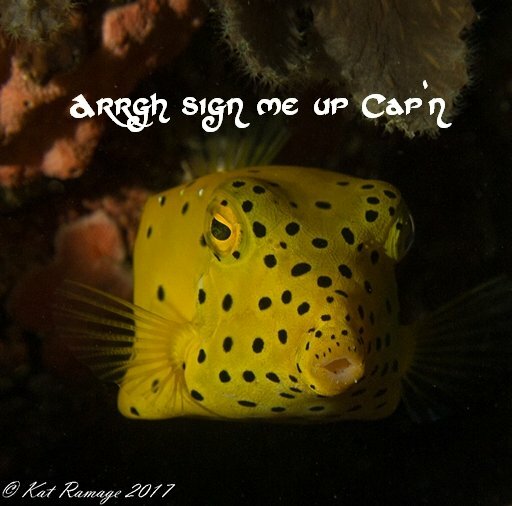 You can download the brochure on this page Save our Reefs (Hug a Fish) of our website. The now famous Captain Paul M Turley, at your service. Ha Harrr! Hi. I am coming to Bali July 20th. Am I able to scuba dive at this temple garden? 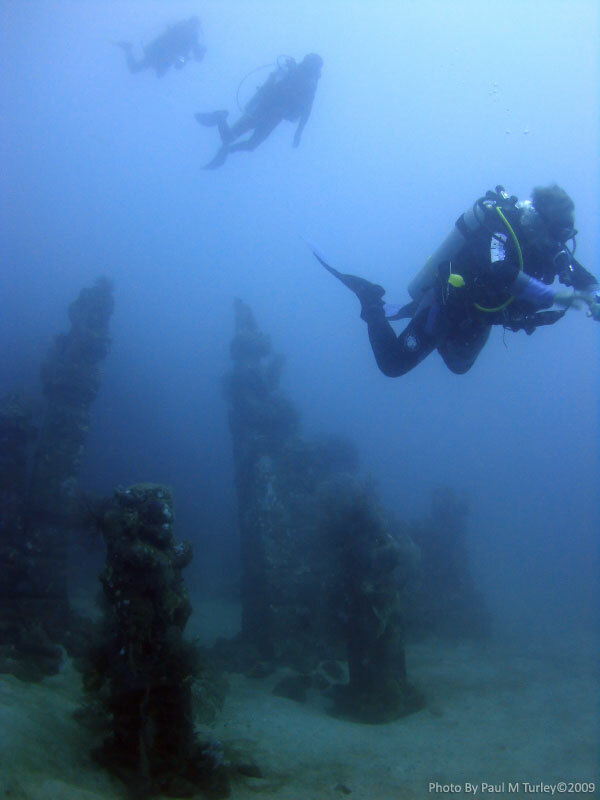 If you’re a certified diver with some deep diving experience, then yes you certainly can. Hit the contact us button and send us a message for details. I have my open water padi. Can i still dive here or do i need an advanced padi? 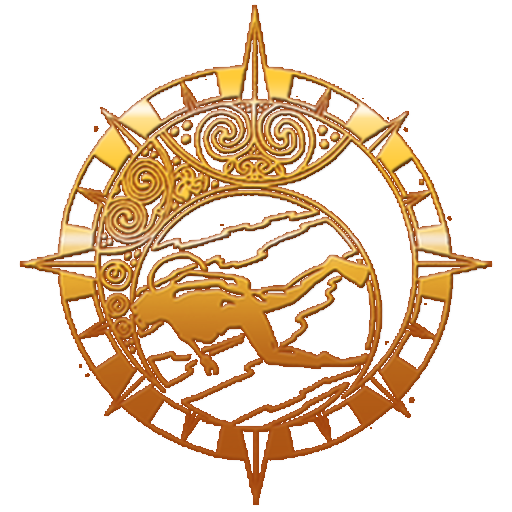 Lena–You can dive the Underwater Temple as a PADI Open Water diver if you have some deep dive experience. Hit the contact us button and send us a message for details. the Underwater Temple Garden visit is only for sub experts? or can you admire it by snorkel or with a guide? Unfortunately for snorkelers the Underwater Temple Garden is not accessible, as the deepest point is 30 metres experience at deep diving is required. There are lots of other options in the area that are accessible, Biorock reef conservation ploject,just off the beach. Pemuteran reefs, 3-5 mins away and the Menjangan Island inside the National Park. All offer good snorkeling.